It’s an increasingly rare opportunity for a busy adult: To spend a weeknight with my friends, free of all responsibility. But there we were. We weren’t helping anyone move or waiting for a wedding or at someone’s work-related happy hour. Just four close friends, at a house, enjoying our time together. Naturally I brought a couple new vaporizers over for everyone to check out, including the K-Vape Micro-DX from Kandypens. My friends and I were reminiscing, catching up and passing the vapes around. And about an hour in I noticed something quite telling: The other vape I’d brought had been quietly set back inside its box. The Micro-DX, however, was still seeing serious rotation among the group. The Micro-DX, which retails for $199.95, isn’t initially all that shockingly new or different. Its muted design and familiar size doesn’t hint at anything special. There is one key difference though, and that is a small LCD screen in the center of the vape. Once you flip the vape on after removing the mouthpiece and loading the deep, cylindrical bowl with flower, you’ll soon notice how quickly the vape heats by the escalating real-time temperature gauge on the LCD. The LCD also quickly displays the target temperature, which is easily adjusted on the fly with the plus and minus buttons on the front of the unit. Like your iPhone, the battery charge is also displayed. I’m not gonna lie: This vape is kind of fun. I would sometimes find my friends playing with the effects of different temperatures. What happens when it’s really low? How do the flavor profiles change when I start my sesh at a lower temperature and end at a higher one? This cool, new device creates a really unique smoking experience — have a look for yourself. That said, there are some subtleties that give off the impression that this is the first iteration of the device. The mouthpiece design feels like it needs a little work; It’s not consistent with the level of design and innovation held by the rest of the device. The charging system is also a simple mini USB, and the bowl is somewhat narrow and challenging to load. But kudos to the folks at Kandypens, who did a great job with the simple instructions for use and cleaning, making it easy to understand the functionality of the vape on a single sheet of paper. All the standard stuff is included in the package: A cleaning brush, a USB-to-micro USB charging cable and a tool to clear the bowl. 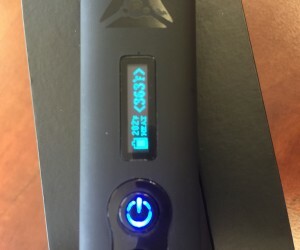 Although there are certainly opportunities for future improvements — modern vape companies have to be able to compete with the industry leaders — this device is really fun. 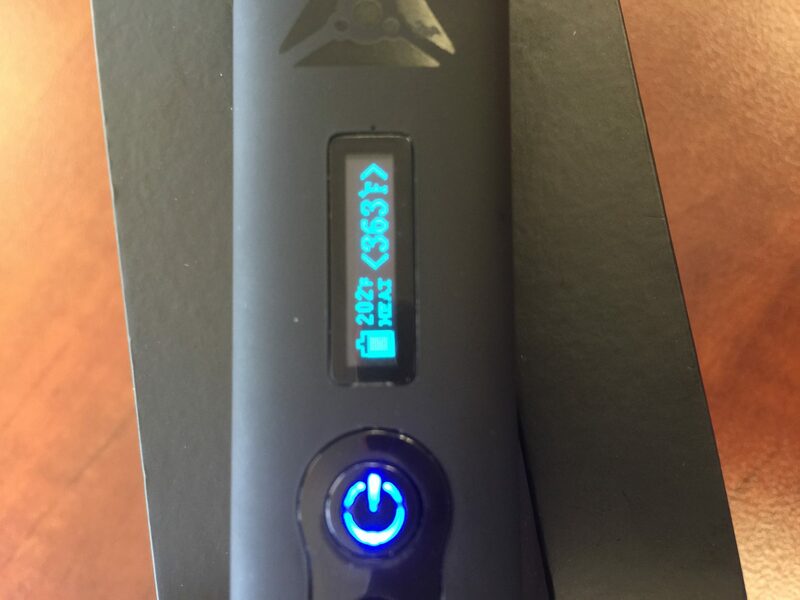 The technology works great, and it creates a truly interactive smoking experience. I also like that Kandypens is offering a lifetime warranty on the product, because anyone who’s vaped their way through a couple of these portable vapes knows that not all of them are built to last.